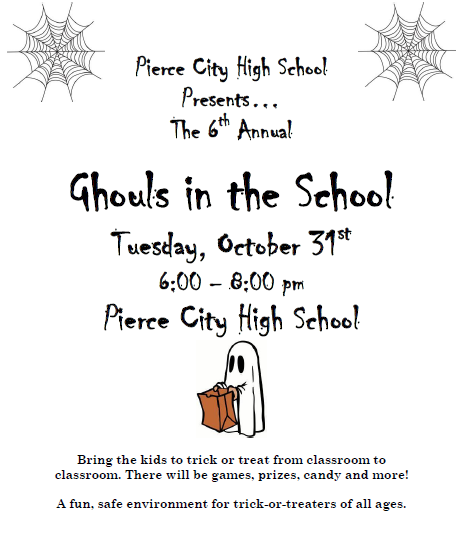 Pierce City High School Presents the 6th Annual Ghouls in the School on Tuesday, October 31st from 6:00-8:00 PM. 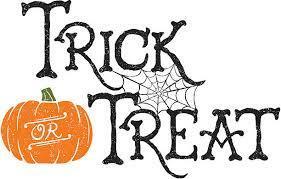 Bring the kids to trick or treat from classroom to classroom. There will be games, prizes, candy and more! A fun, safe environment for trick-or-treaters of all ages.